Breast reconstruction is often the final step for women after enduring the highs and lows of cancer. These women deserve to look and feel like themselves again, and I tell each one — this is your happy place. Most women are candidates for some form of breast reconstruction, whether they have had removed their breast due to cancer (mastectomy) or removed a portion of their breast (lumpectomy or partial mastectomy). Whatever they have been dealt in the past, whether cancer or a failed surgery, we can always work with it. I want my patients to forget about cancer by the time we are done. I want them to be able to look in the mirror without seeing cancer, and to feel better than they ever had, even before cancer. Our goal as plastic surgeons is to recreate a breast mound that is similar to the native breast. There are multiple ways to do so, but the overall goal is for women to have as natural a breast as possible. In addition to this goal, I want my patients to forget about cancer by the time we are done. I want them to be able to look in the mirror without seeing cancer, and to feel better than they ever had, even before cancer. Breast reconstruction surgeries can be quite complicated; however, the quality and outcome of the breast reconstruction is discussed at length with not only with the patient, but with a board of surgeons from beginning to end. The most important element of breast reconstruction is that it must be tailored to the patient. We provided patient-centered breast reconstruction and individualized plans. The options for breast reconstruction falls in two broad categories, (1) reconstruction using an implant and (2) reconstruction using your own tissue. You may choose to have breast reconstruction with an artificial implant. This is a silicone shell filled with silicone gel or with salt water, called saline. Your surgeon places the implant under or above your chest muscle and skin to create a breast mound. If you have had radiation or if you may have it after your mastectomy, an implant may not be an option for you. Surgeons can use your own tissue to reconstruct your breast. This is called a tissue flap. Your surgeon moves a section of skin, fat, blood vessels and sometimes muscle from one part of your body to your chest to form your new breast. The tissue may come from your abdomen, back, thigh or buttocks (DIEP flap, SIEA flap, TRAM flap, free TRAM flap, pedicle TRAM flap, back flap, GAP flap, or TUG flap). A tissue flap may give you a more natural look than an implant, lasts longer, and does not require maintenance. For those contemplating breast reconstruction, The Women’s Health and Cancer Rights Act (WHCRA) was signed into law in 1998 to help protect women if they choose to have their breasts rebuilt after a mastectomy. This federal law alleviating the cost of surgery is absolutely quintessential for providing patients with good options, and we need to continue to spread awareness. There is a lot of misinformation about the pain associated with reconstruction, and we work to alleviate these fears through proper education and surgical practices. I was part of a study focused on the enhanced recovery after surgery (ERAS) to improve outcomes and minimize pain. We’re essentially educating women better, so they know what to expect after surgery. We’re managing expectations and letting them know that they’ll be up walking around after surgery and won’t be snowed by narcotics. With these clear expectations and as women move towards the end of their journey, they have more energy, more confidence, a new lease on life, and above all, they are extremely grateful. Some leave my office crying because they are so happy and thankful. One of these confident women is Julie Moser of Copperas Cove, Texas. Julie was diagnosed with breast cancer in 2013, and found a suspicious line and lump in her left breast the day her husband deployed for Afghanistan as a flight medic. Diagnosed at age 39 with no family history of breast cancer, Julie was blindsided by breast cancer and it turned her world upside down. She made the decision to have a double mastectomy and ultimately went through the process of breast reconstruction. While enduring the rigors of cancer, Julie learned social media while resting in bed to connect with her two young daughters. What she found was another way to connect — through hashtags. She clicked through profiles of other women battling cancer and met her dear friend Jen. 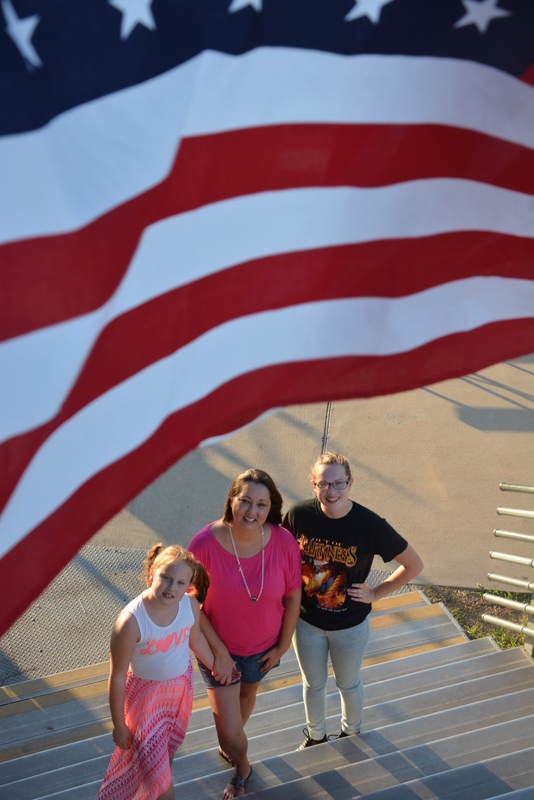 In New Braunfels Jen volunteered with a military organization helping people send care packages to an adopted solider overseas, and for Julie, the military was close to her heart. They expanded this idea to those battling breast cancer and founded Pink Warrior Angels, based on the notion that no one should ever feel like they’re fighting alone. The non-profit pairs a “warrior,” or a woman fighting breast cancer, with an “angel,” or a woman who has overcome it. Julie overcame invasive ductal carcinoma and opted for reconstruction with expanders and implants. She is proud of her scars and feels like she has regained her femininity. With her positive outlook and energy, she now works to give back to others fighting against cancer. The Pink Warrior Angels support groups offers a personal perspective throughout the entire journey, and for those considering breast reconstruction, as they share open and honest experiences. As a surgeon, it is one of the biggest satisfiers to build an open relationship with my patients from the very beginning. Our team approach is much like these warrior angels, as we all work together to help each other and restore hope for women after breast cancer. Previous Previous post: Why should you get a flu shot?